BGA 100, tool only - Noticeably stronger and quieter. 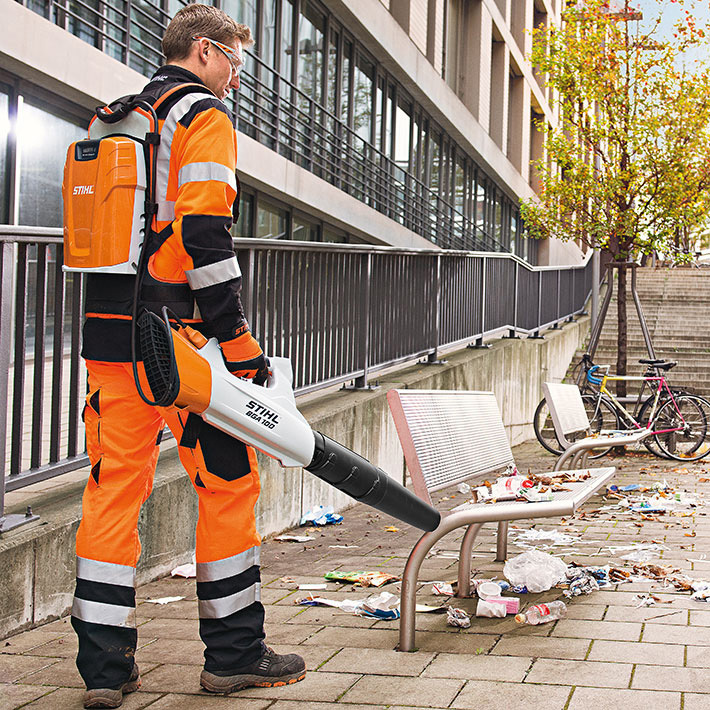 Pleasantly quiet, lightweight and very powerful cordless blower for professional use, especially in urban, noise-sensitive areas. 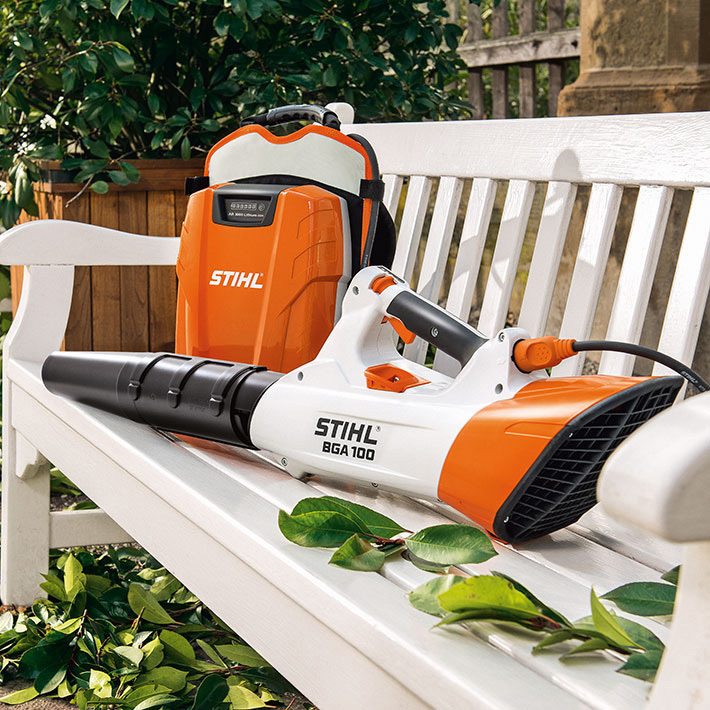 Round nozzle, soft handle, three power levels with additional boost function, three-level length-adjustable blower tube, lifting eye for support cushion. The AR 3000 backpack battery with support cushion and comfort carry ring is recommended when working for extended periods, while the AP battery is available for shorter periods of work. BGA 100, excluding battery and charger.